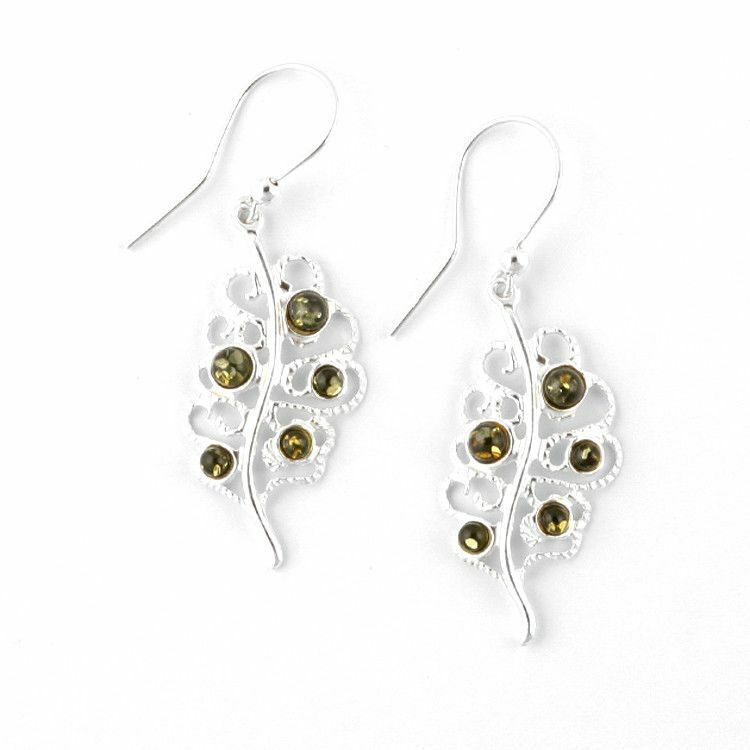 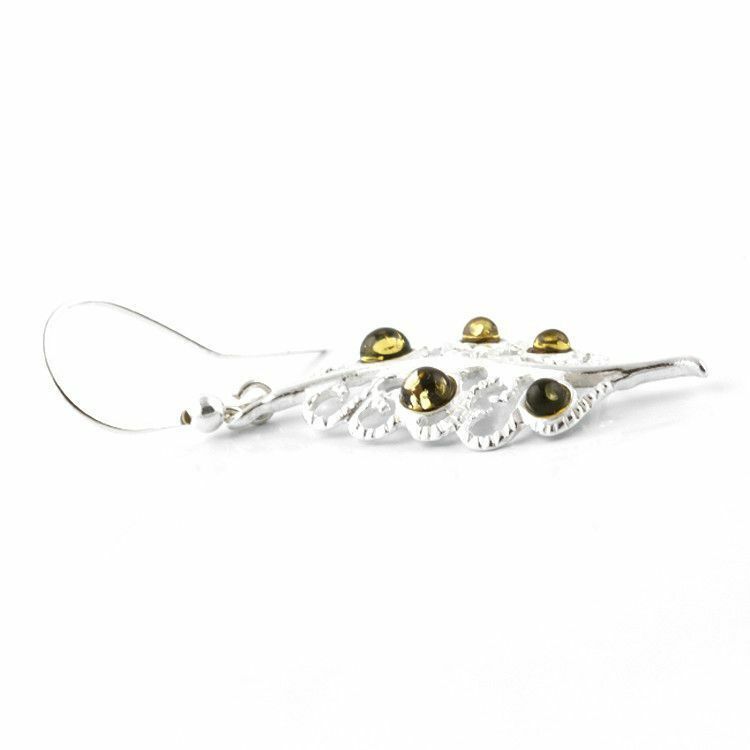 These curving .925 sterling silver filigree leaf earrings are accented by drops of green amber. 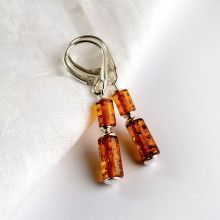 Amber features shining natural inclusions, adding to the sparkle of the bright, textured sterling silver. 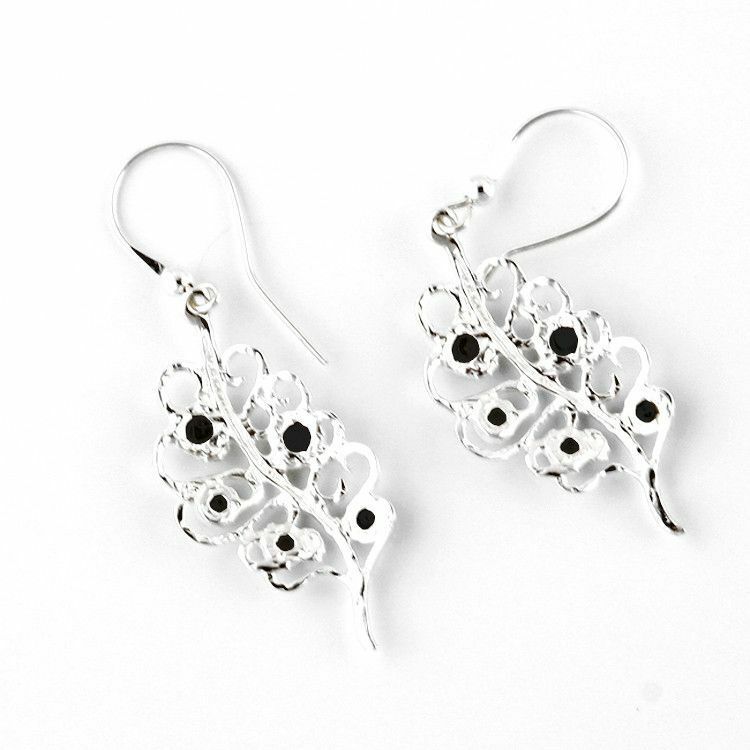 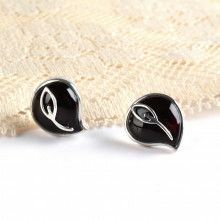 Earrings hang from a simple hook embellished with a single silver bead. 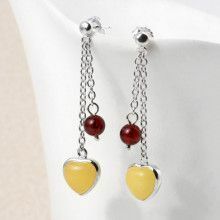 Earrings measure 2" x 3/4"